The Human Leukocyte Antigen (HLA) system represents a distinctive marker in identifying population groups since they exhibit a very high level of polymorphism that reveals remarkable frequency variation in human populations. 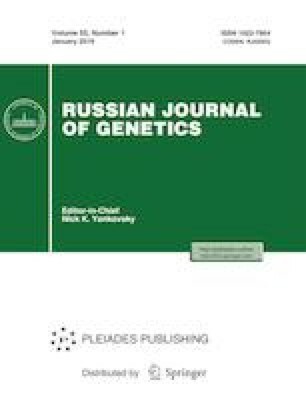 In this study the gene frequencies of HLA class II DRB1, DQB1 and DQA1 alleles were studied in 100 randomly chosen individuals from region of Vojvodina, Serbia, with an aim to establish the genetic relationship between Vojvodina population and selected populations of European and non-European descent. DNA low resolution typing for DRB1, DQA1 and DQB1 was done using a standardized PCR-SSOP. Genetic distances between Vojvodina and 28 populations were computed based on frequency of DRB1 alleles. Phylogenetic trees were constructed using the neighbour-joining algorithm. The distribution of the observed genotypes is in Hardy–Weinberg equilibrium for all studied systems. The most frequent alleles were HLA-DQA1*01 (0.475), HLA-DQB1*05 (0.3), HLA-DRB1*11 (0.14). Two locus haplotype analysis identified HLA-DQB1*05-DQA1*01 (0.22), HLA-DQB1*03-DQA1*05 (0.135) and HLA-DQB1*06-DQA1*01 (0.1075) as the common haplotypes in Vojvodina population. Compared to other populations, Vojvodina appear to be genetically related to Balkan population, in particular Croatia, Slovenia and Bosnia and Herzegovinia. In conclusion, genetic distance matrix estimated using alleles at HLA-DRB1 locus, indicates that Vojvodina population is related to present-day nearby populations, Polish, Russians, Germans and French but not to Albanians from Kosovo and Bulgarians. HLA Class II diversity in Vojvodina.